Hi, this is Steatoda triangulosa, a female triangulate cobweaver. This is any easy cobweb spider (family Theridiidae) to identify. It has a row a triangle shapes in gold, brown, or silver down the center line of the abdomen. Yours is slightly distorted because her abdomen is gravid with eggs. These spiders eat insects and other spiders. 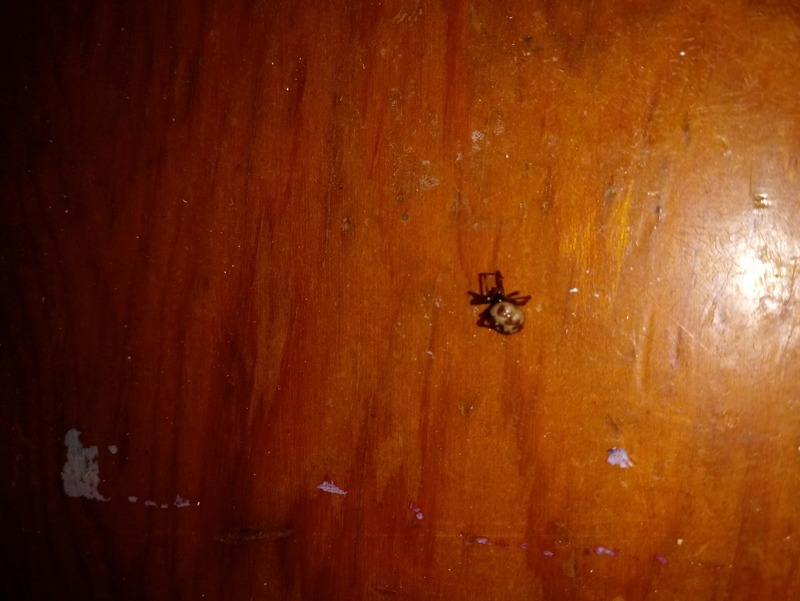 Thank you for your help in identifying the spider I discovered indoors.